The term “drugstore” barely describes the scope of what Shoppers Drug Mart has evolved into. Once stocked mainly with medication and mass cosmetic brands, Shoppers has since introduced prestige makeup lines, fresh groceries, and cannabis (the e-commerce site is now live, though currently only serving Ontario patients). 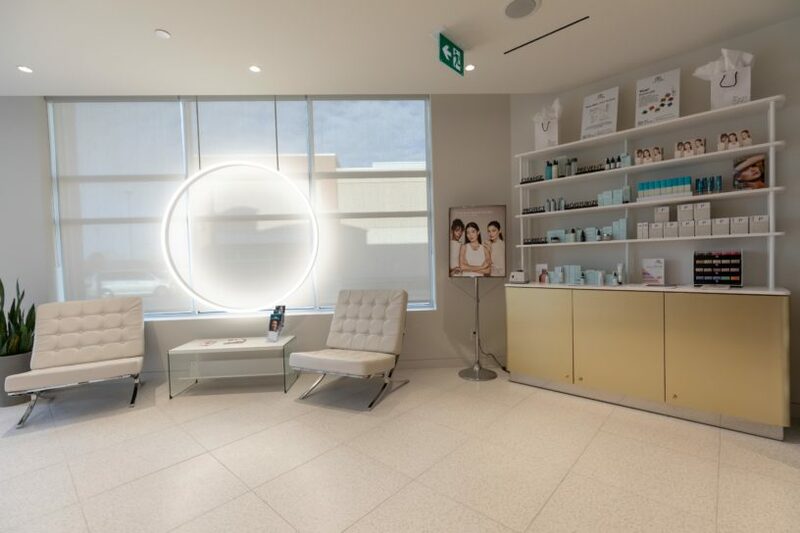 Now, the Canadian retail chain can add cosmetic dermatology to its menu of offerings, with the opening of the Beauty Clinic by Shoppers Drug Mart in Oakville, Ontario. 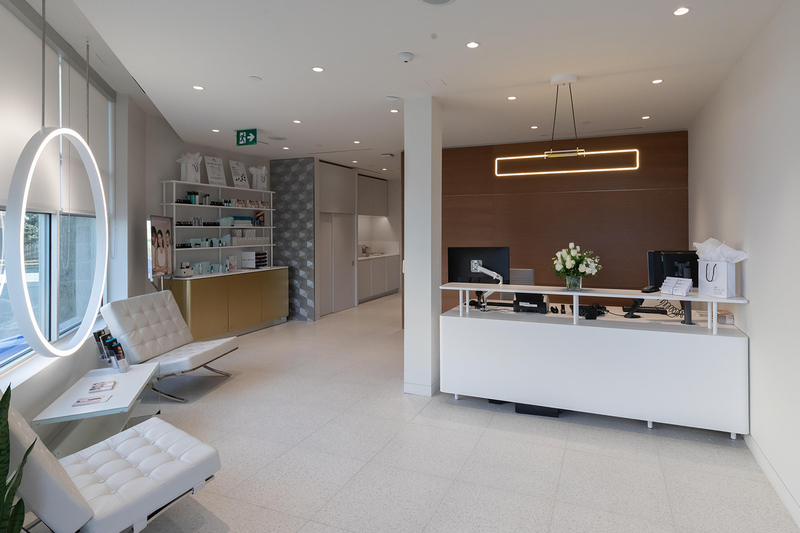 Located in a discreet corner of a shopping plaza (just a few steps away from the Shoppers Drug Mart), the clinic is staffed by three nurse practitioners, one aesthetician, and several front-desk concierges—all industry professionals with more than a decade experience. The space is minimal yet elegant. 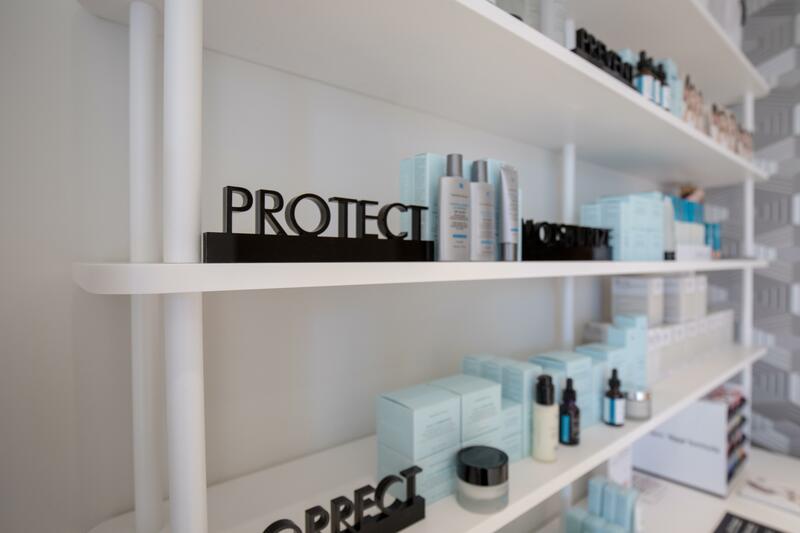 In the front of the clinic, products from select skin-care brands are available to purchase, including SkinCeuticals, Colorescience, and Universkin (a line of serums customized to your skin type). Just past the front desk, you’ll find a seating area separated into individual private nooks, each equipped with an iPad for your perusing pleasure. Treatment options are all of the non- or minimally invasive variety, ranging from cosmetic injections such as Botox and dermal fillers, to microdermabrasion, medical-grade peels, and micro-needling. (Savvy shoppers take note—all treatments are included in the PC Optimum rewards program.) Prices are on par with industry standards—$250 per IPL (intense pulsed light) treatment, for example—and can easily be found online alongside an FAQ section with detailed information on each treatment for hesitant first-timers. 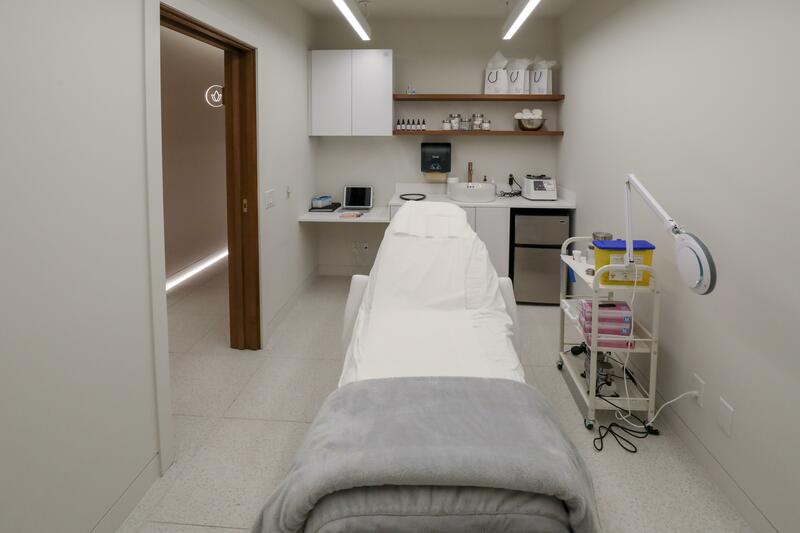 Though the idea of Botox via Shoppers Drug Mart may lack a certain glamour, the execution is so approachable, professional, and convenient that it may not be long before an errand run includes a little laser. The Beauty Clinic by Shoppers Drug Mart is located at 2501 Prince Michael Dr Unit C1, Oakville, Ontario.